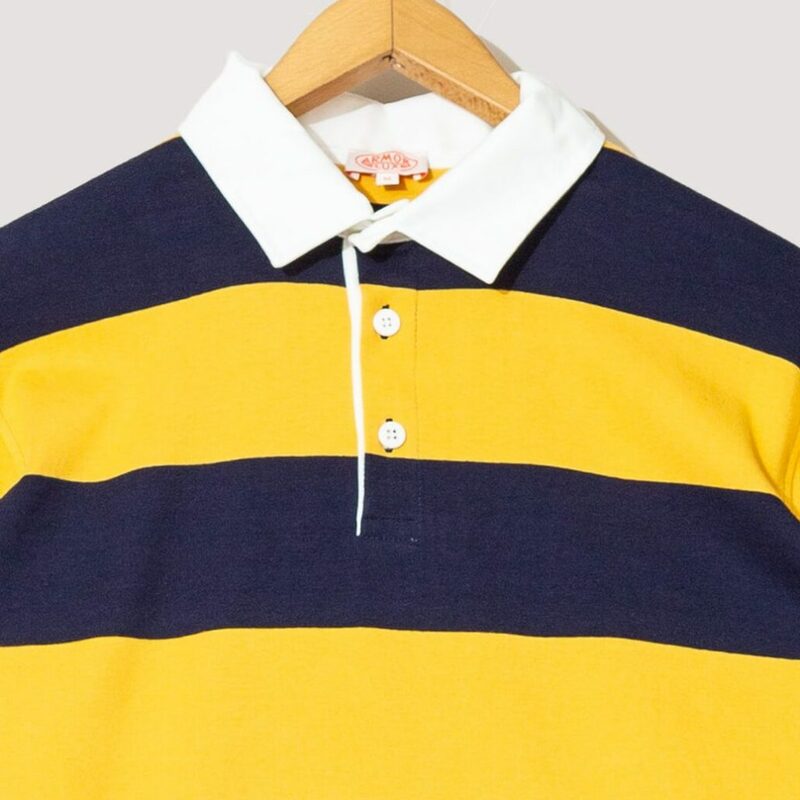 Armor Lux are one of those classy french brands who always bring something special to ‘le table’ when it comes to creating casual classics. 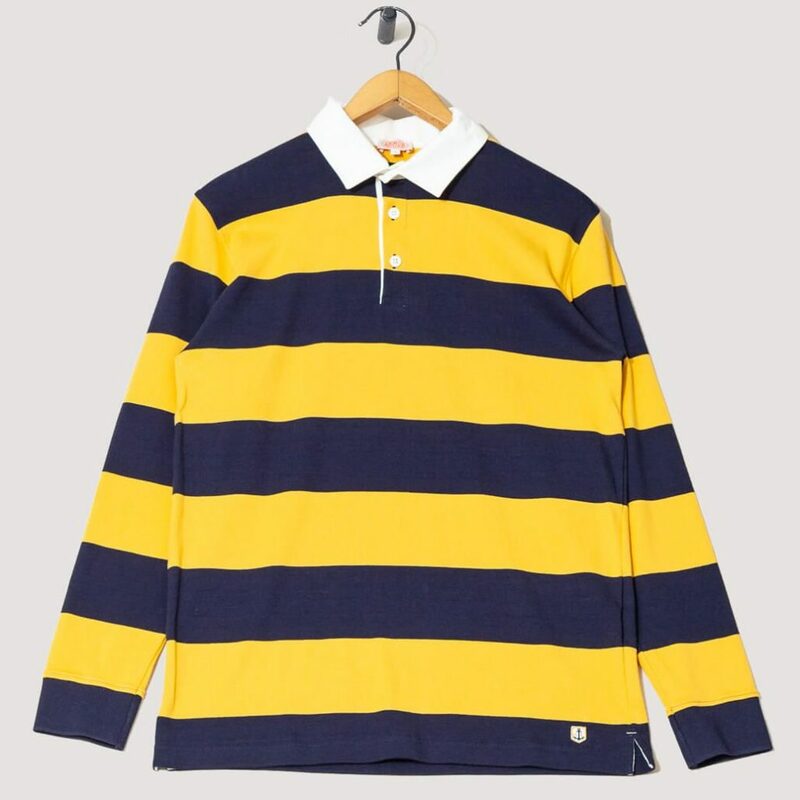 A perfect example being their Polo ML which is their tantalising gold and navy take on the iconic rugby shirt. 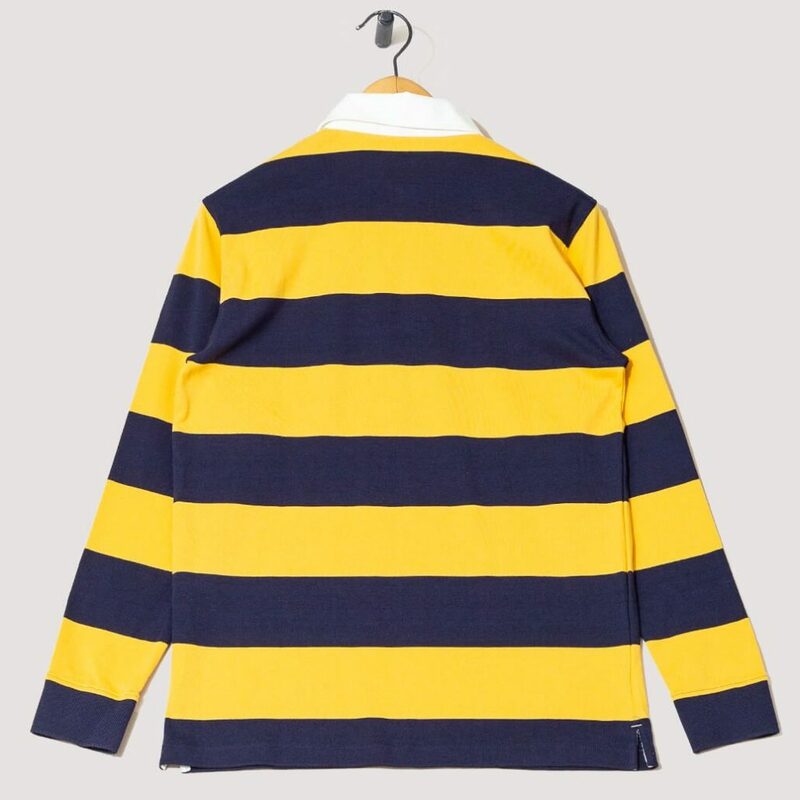 Worn by everyone from world class painters to world famous rappers, everyone with taste it seems, loves a stiff white colour and some stripey colour blocking action. 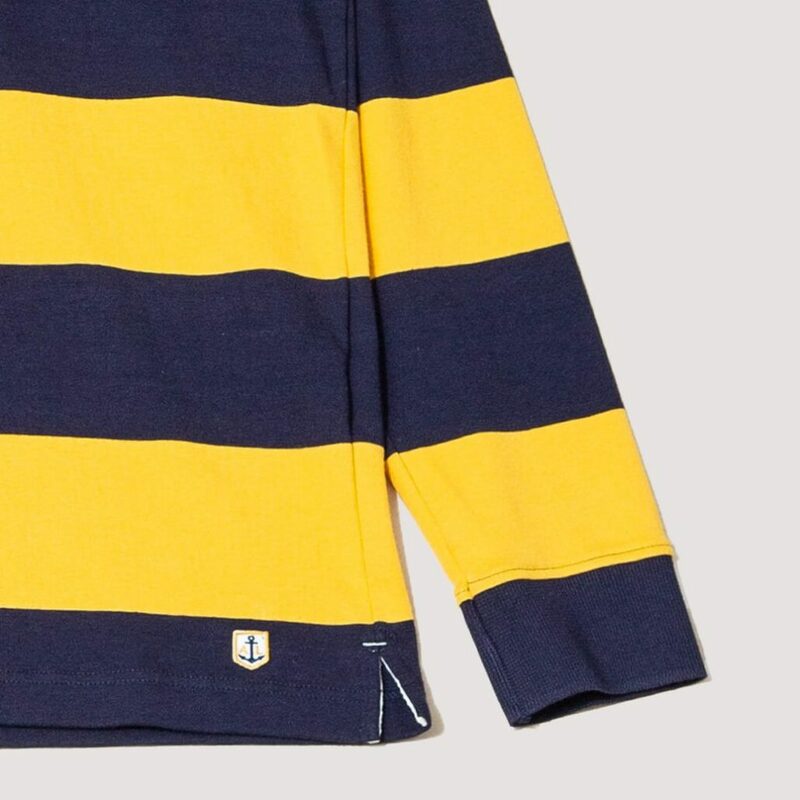 Made from 100% cotton this is wonderful wardrobe staple has just dropped over at those purveyors of fine taste at Peggs & Son, why not give one a try? Buy an Armor Lux Polo ML here.